Treat yourself to a day of relaxation and exploration on this exciting trip to the private reefs and beaches of Peterson Cay. Exploring the pristine surroundings of this lovely little island is a delightful experience that is sure to enhance your vacation to Freeport. Escape the ordinary and venture out to Peterson Cay for a truly special day in the Bahamas. 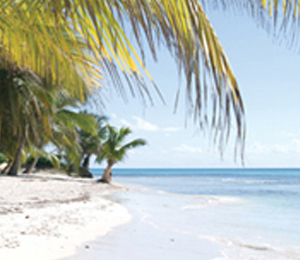 Peterson Cay National Park provides an ideal setting to relax on the beach and do some world-class snorkeling. Once the Sunshine, our 45-foot catamaran, brings you to this gorgeous place, you will know why this excursion is so special. The reefs, along with the island, that comprise the park support an abundance of life both in and out of the water. Spend some time wandering over the island to spot unique birds and other creatures that make their home there. Get in some quality island time on the secluded white-sand beaches and in the crystal blue water lapping its shores. You can enjoy complimentary cocktails and a delicious lunch as you take it easy in this tropical paradise. The park also offers you the opportunity to experience fabulous snorkeling above beautiful coral reefs. The combination of sand bars and shallow water around the island provides ideal conditions to observe the marine life thriving in the islands reefs. Catch sight of colorful coral and vibrant schools of fish darting through this rich underwater world. You may even spot sea turtles or barracudas passing through the water below you. With their high visibility, these waters offer you some of the best snorkeling in the Caribbean. Enhance your Caribbean vacation with this unparalleled experience on a deserted island near Grand Bahama Island. The pearly white sand, empty beaches, and brilliant coral reefs are waiting to astound you on this enchanting outing. The lunch consists of BBQ Chicken, Peas and Rice, Corn on the cob and rolls. Maximum weight for guests is around 300lbs, please call our office if you have questions about the weight limitations. I have been to the Bahamas many times, but Deserted Island Cruise and Beach Adventure is one of my favorite trips! It includes everything that everyone should do here. As a Bahamas veteran, I can say only the best about this experience!